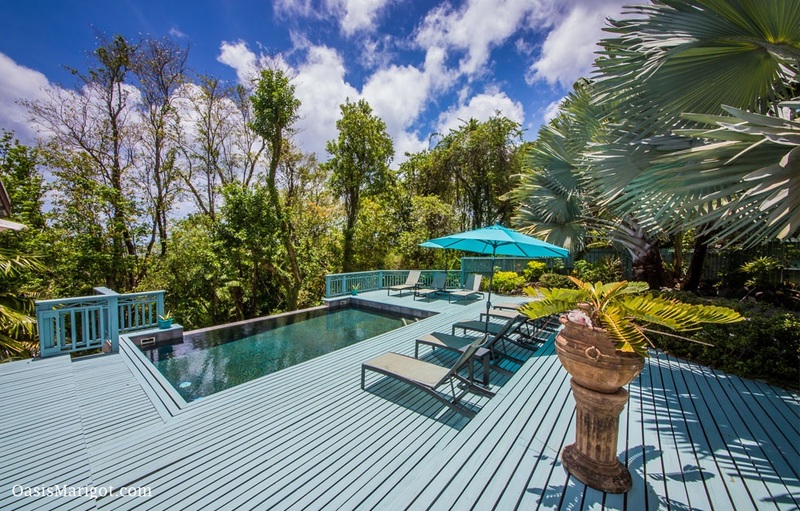 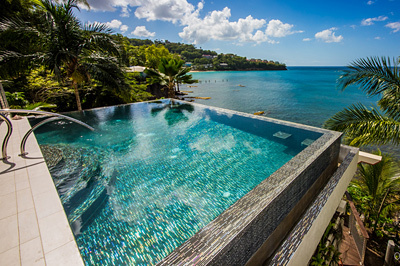 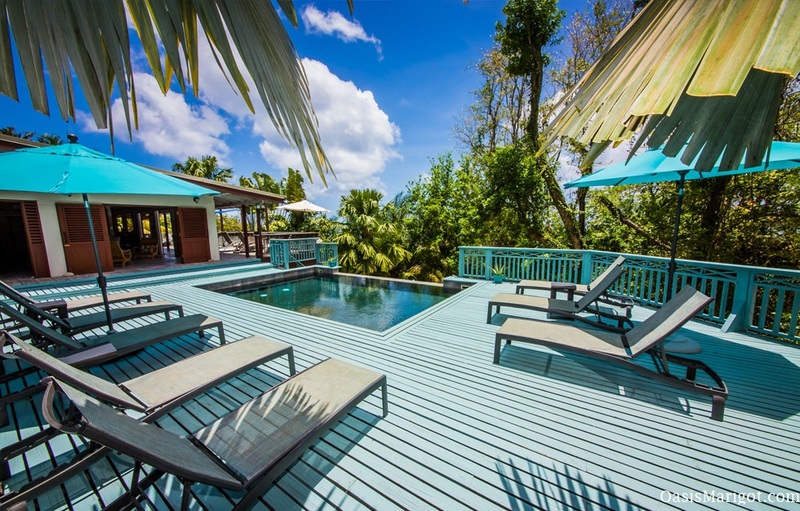 The Barefoot Beach Villa is a luxury private beach house on the cliff side of La Toc, overlooking the enchanting Caribbean Sea. 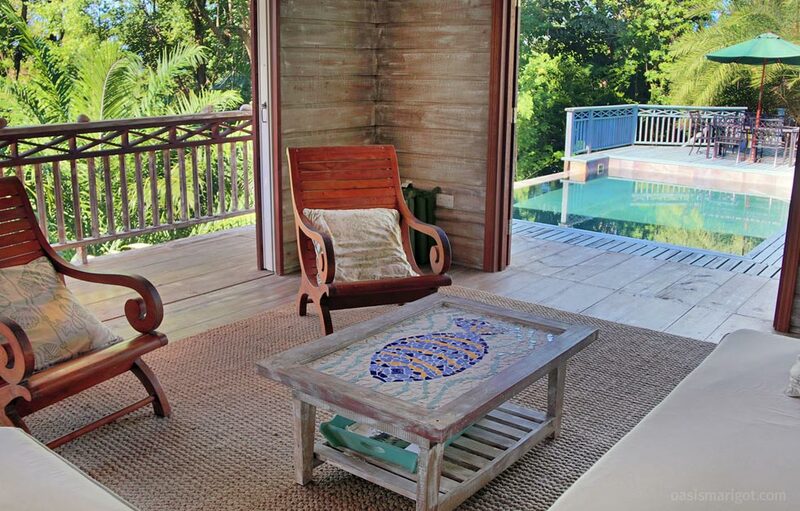 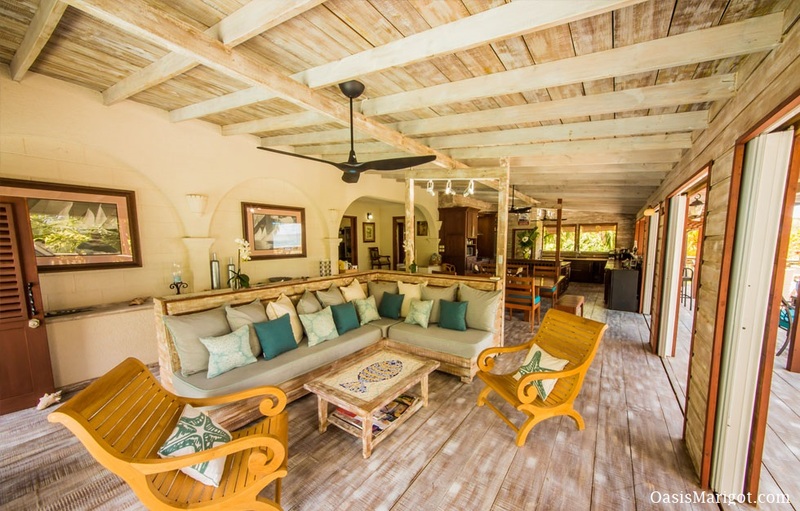 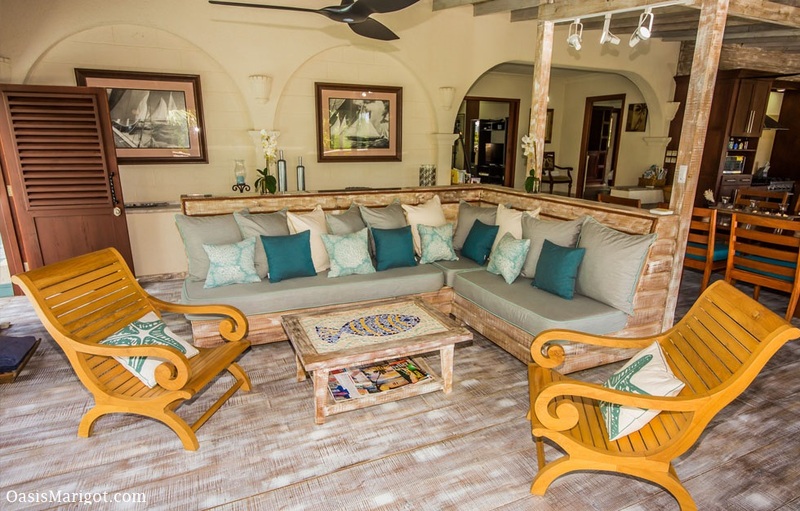 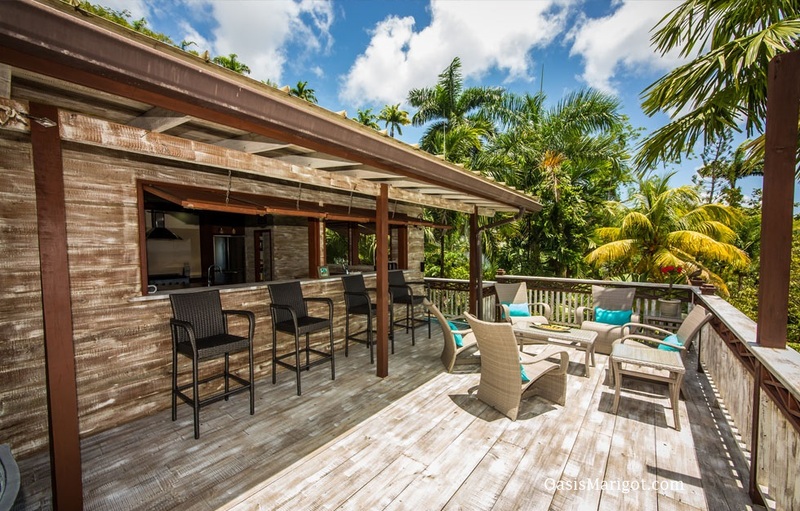 The villa features an eclectic design of rustic Caribbean fusion with its cool, coral-walled exterior and the exotic dark-wood interior. 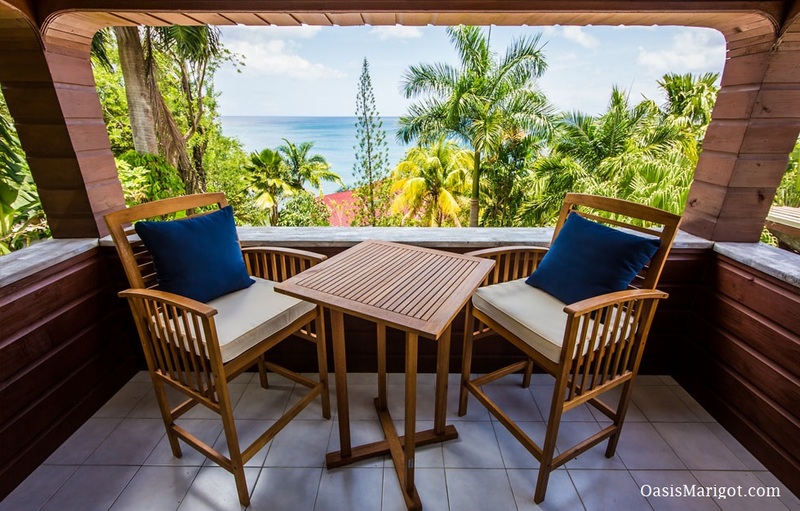 The open-wall style architecture lends itself to a peaceful Zen-like flow, not to mention it allows for refreshing sea breezes and wider access to the beautiful view. 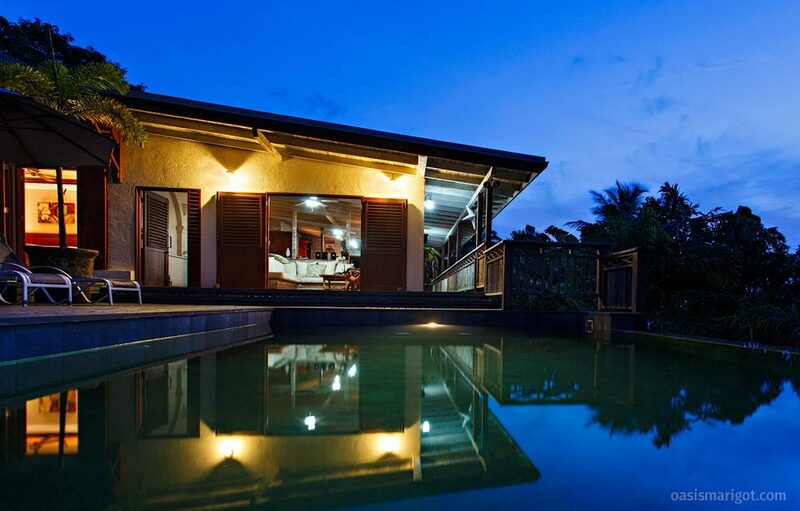 This luxury villa is airy and spacious. 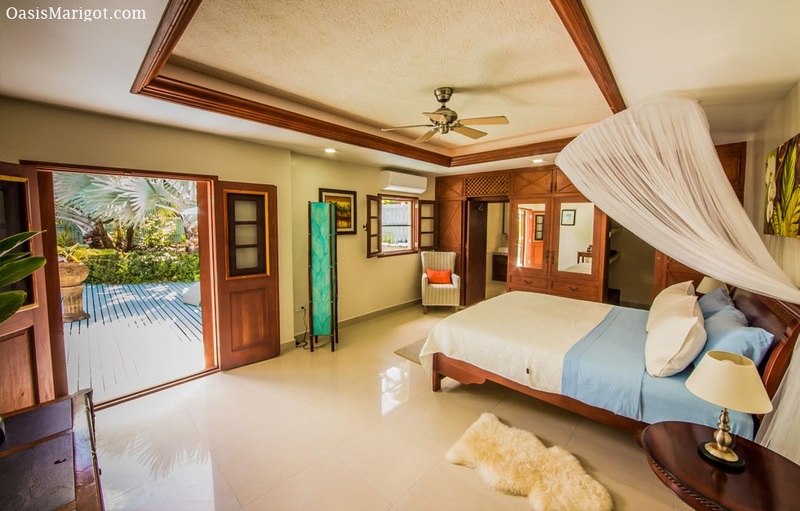 Although modern in its amenities and comforts, it features tasteful “beach house” design and decor with a Lucian flare. 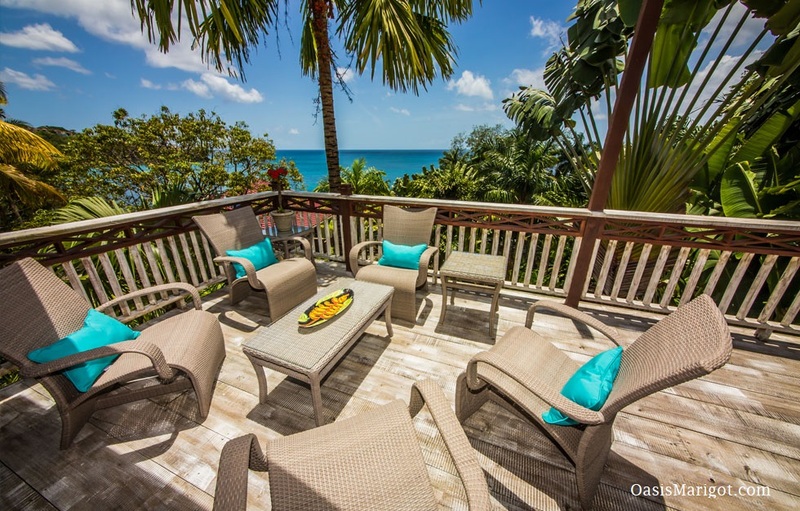 It also utilizes an open concept, allowing for cool breezes and views all around. 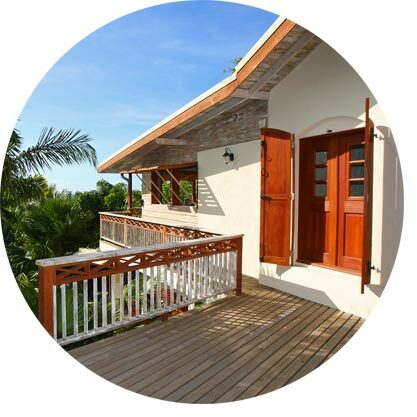 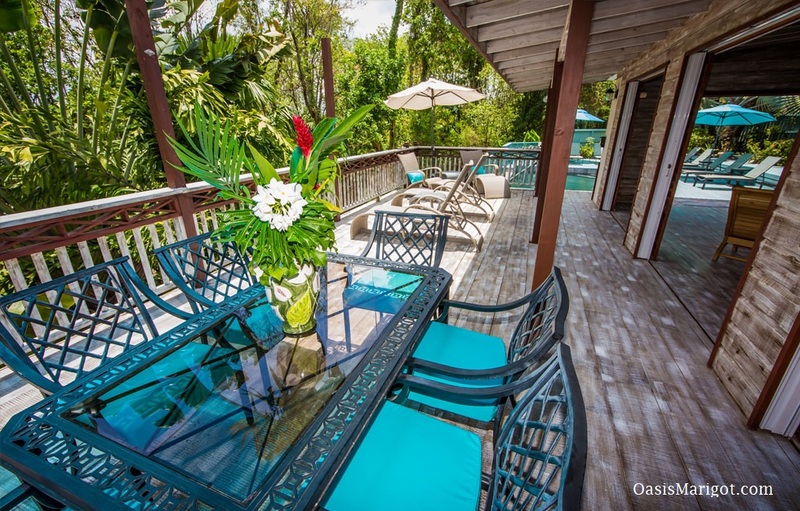 The house is extremely sheltered with lush tropical gardens and palms all around, giving you all the privacy you could ask for. 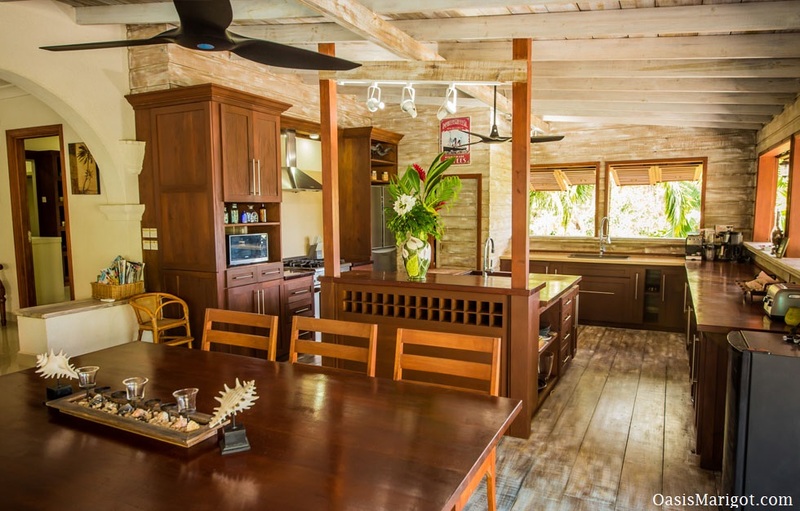 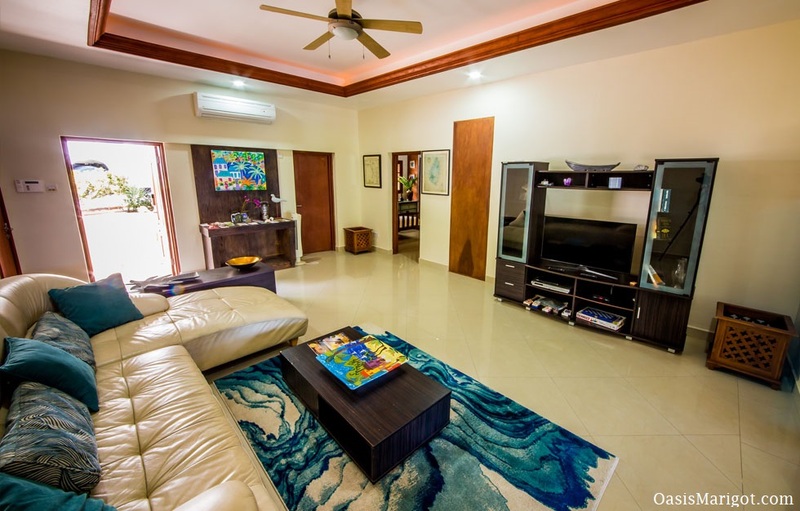 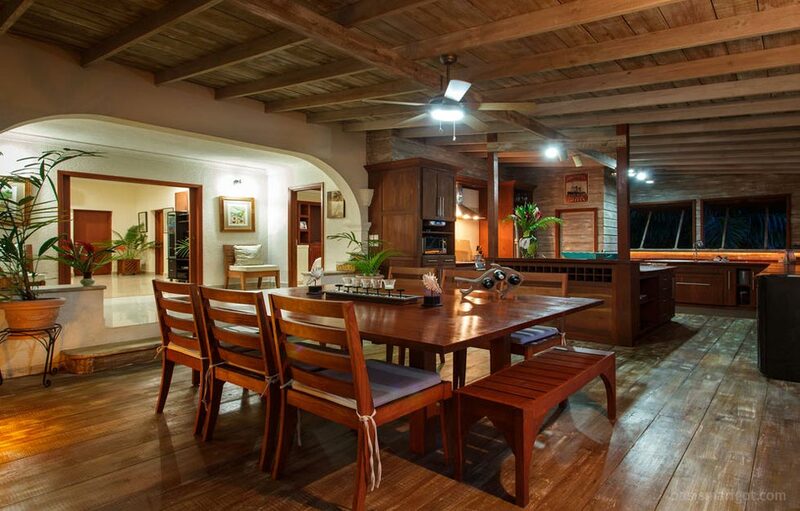 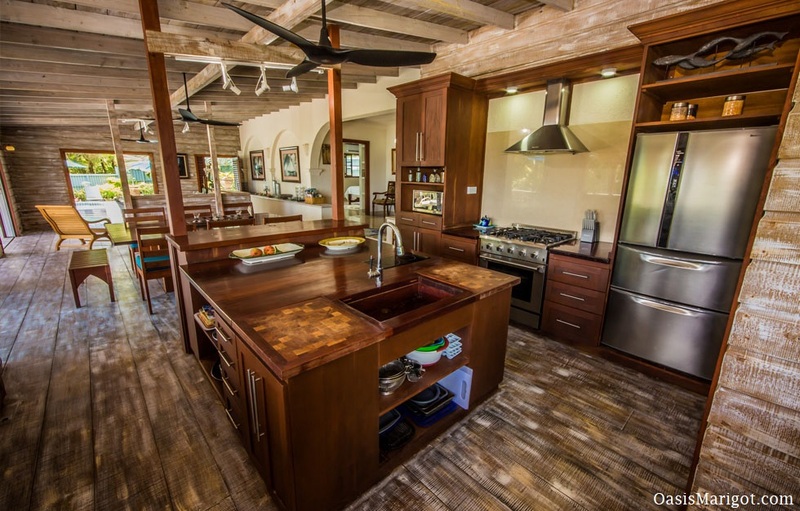 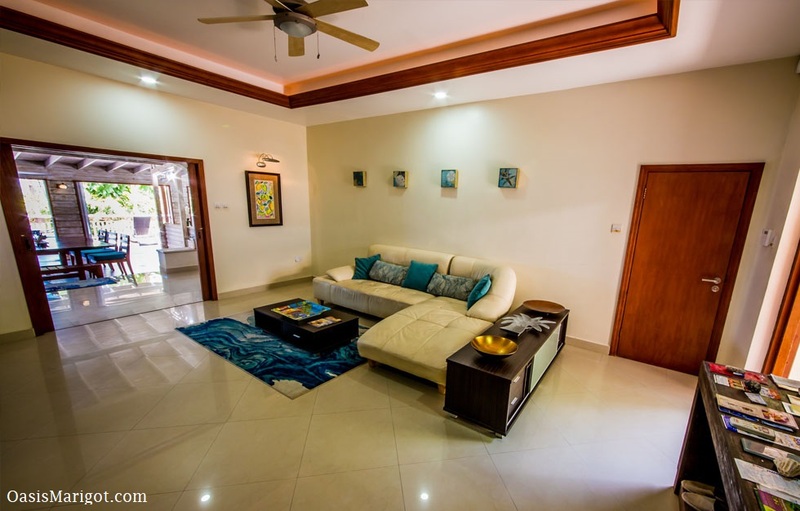 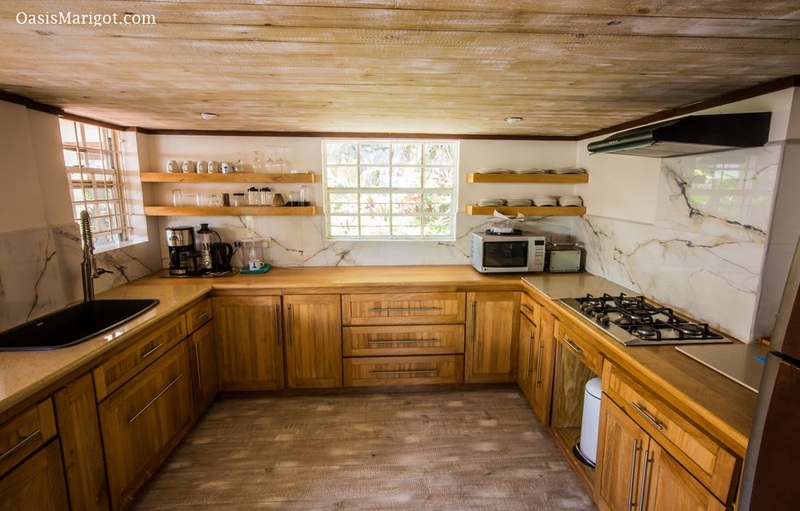 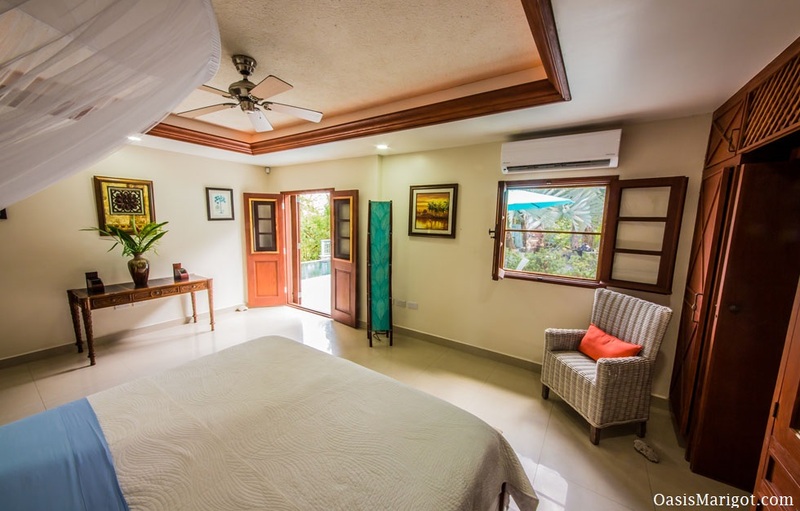 A top-of-the-line kitchen fit for a chef and modern TV room are nice highlights to this beautiful beach villa rental. 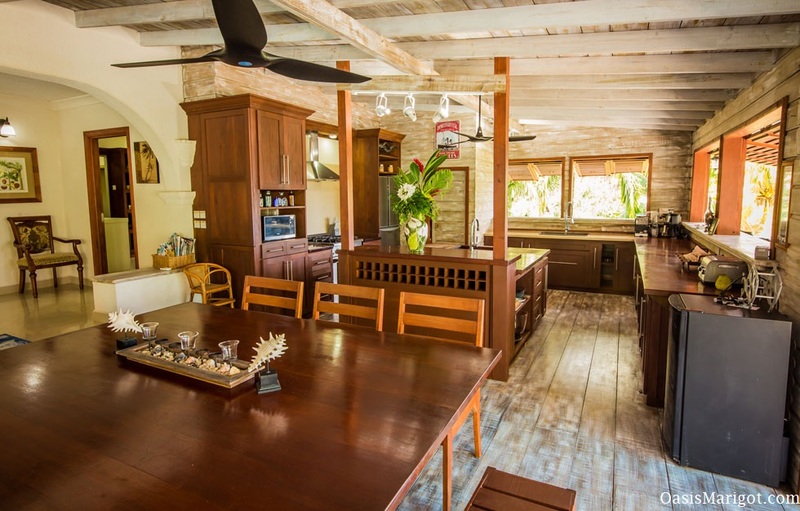 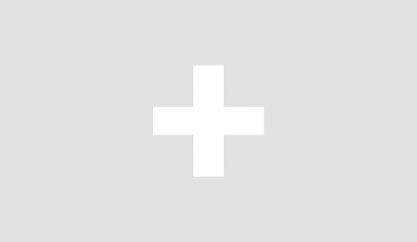 The home was designed and outfitted by the famous Chef Xavier Ribot from the renowned Coal Pot Restaurant. 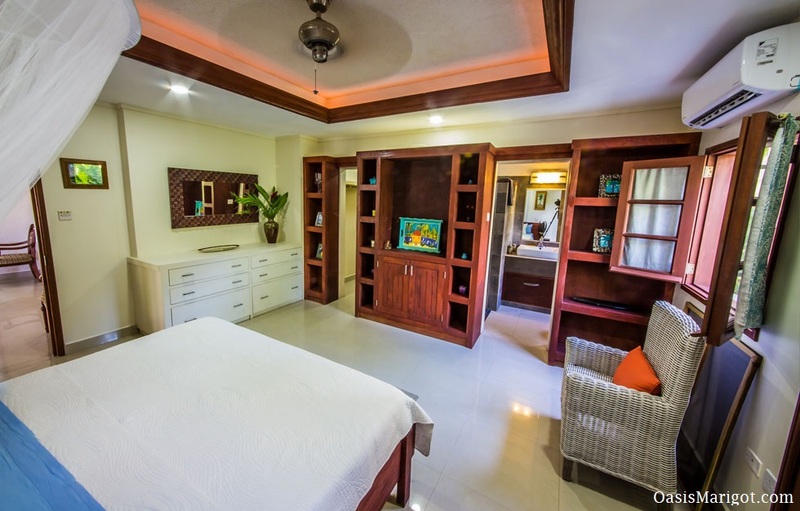 This tropical getaway has every modern amenity, with no expense spared to ensure your complete comfort and relaxation. 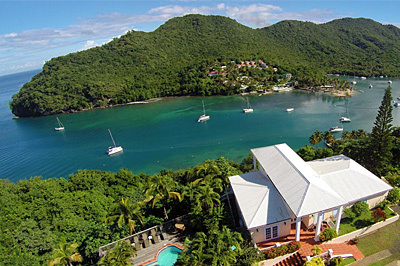 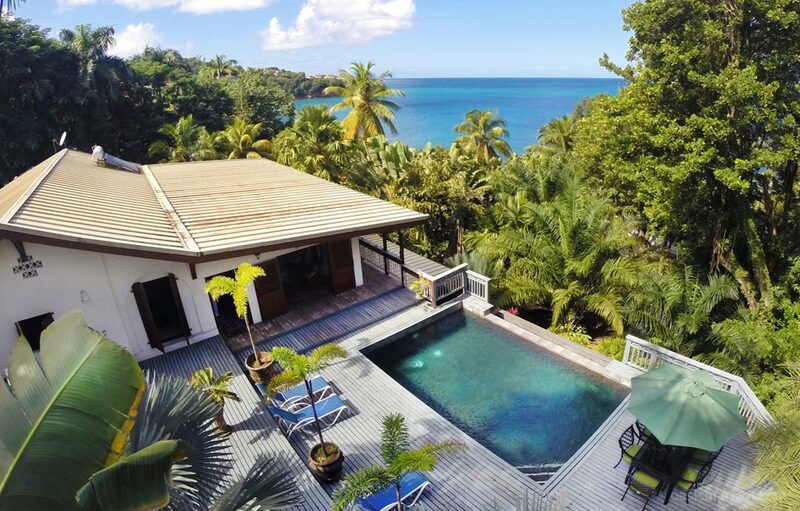 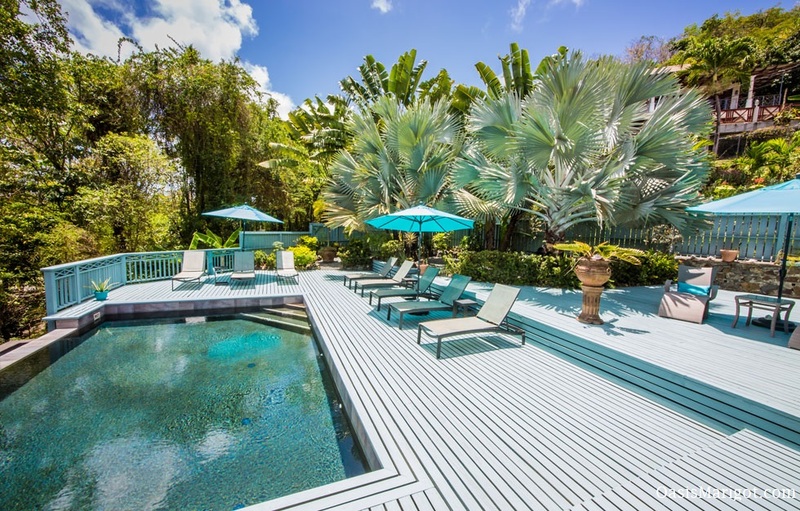 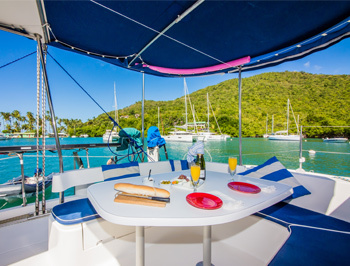 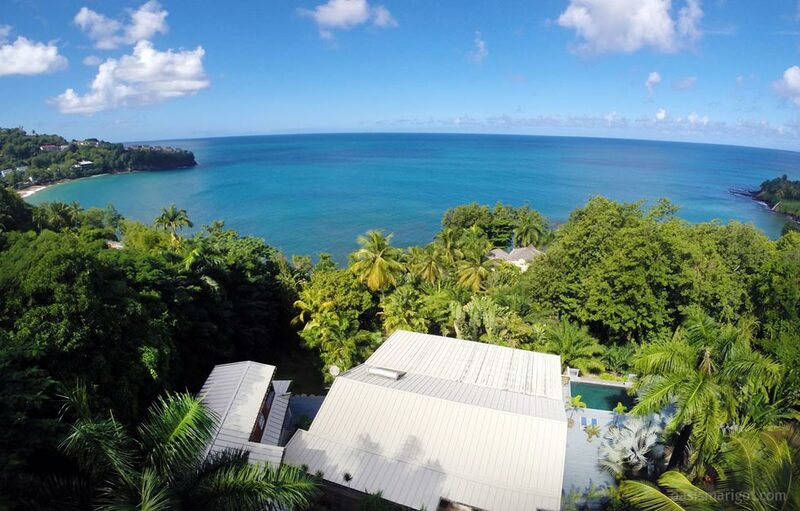 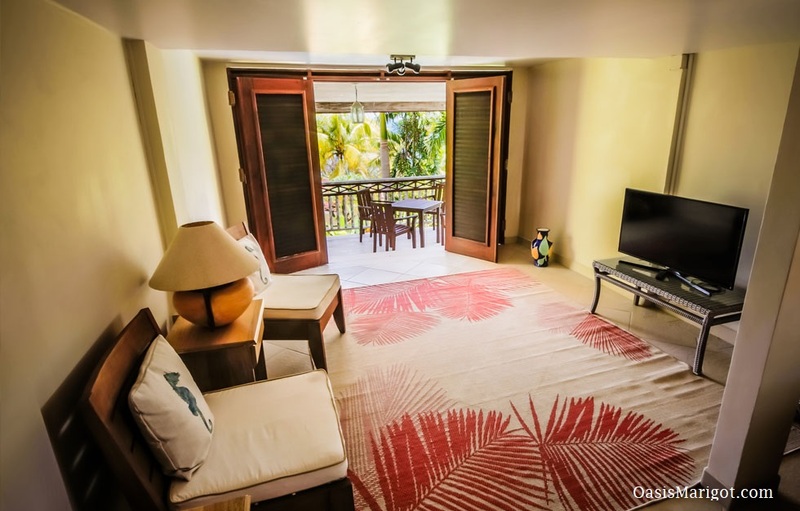 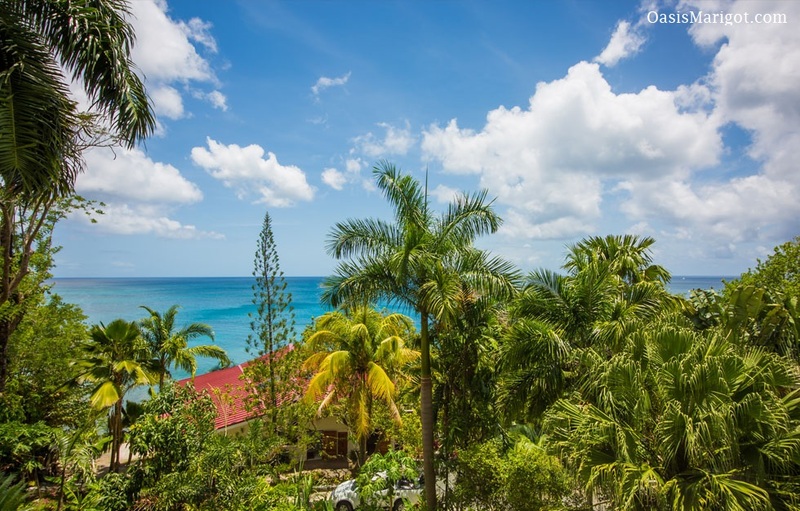 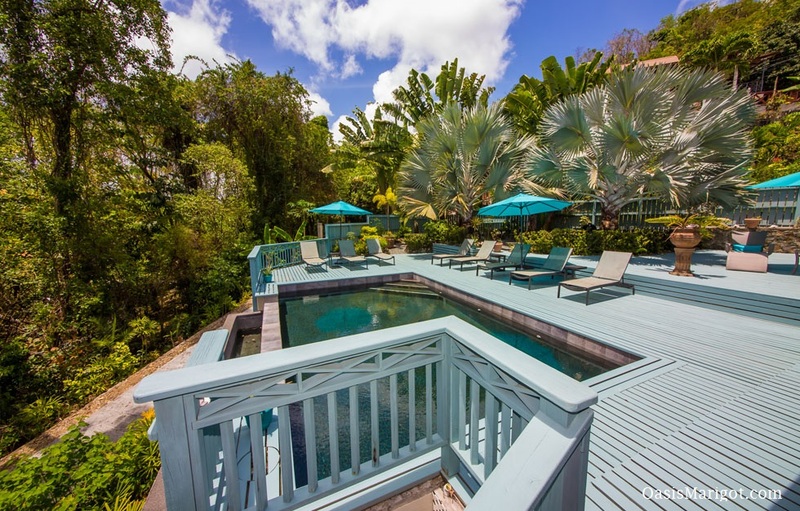 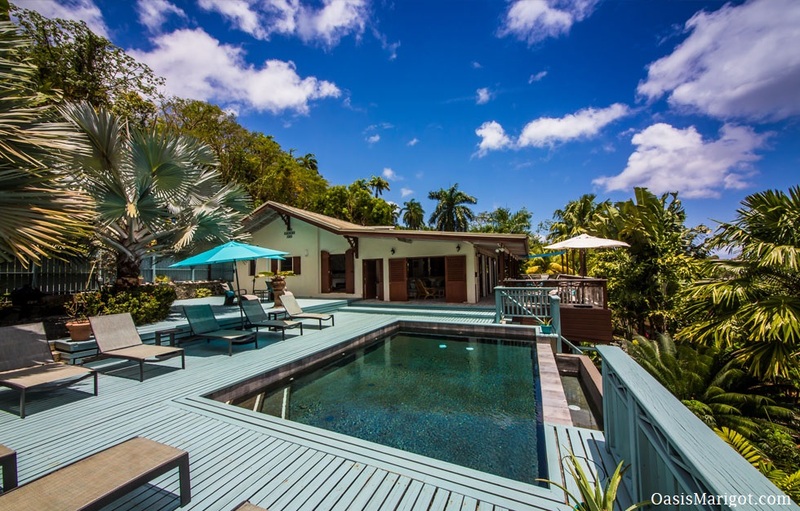 Just a mere 5 minute walk away, through beautifully landscaped gardens and exotic trees and orchids, lies a secluded snorkeling cove and small beach. 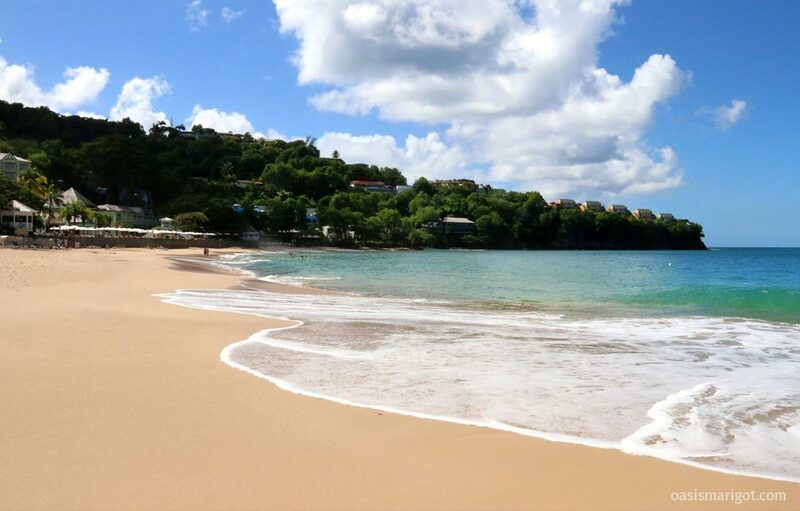 Then, for the true beachgoers at heart, there is the long, sandy beach of La Toc just a 5 minute car ride away, or a 10-15 minute walk. 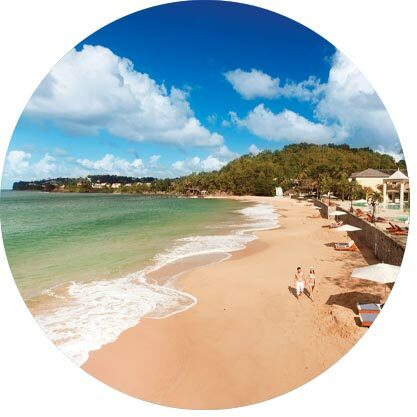 La Toc Beach is where the Sandals Resort is located, so you can also pay to use their services, such as the restaurant or water sports. 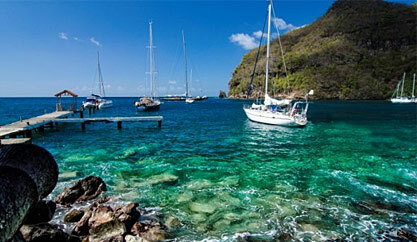 La Toc is perhaps the most perfect beach on St. Lucia. 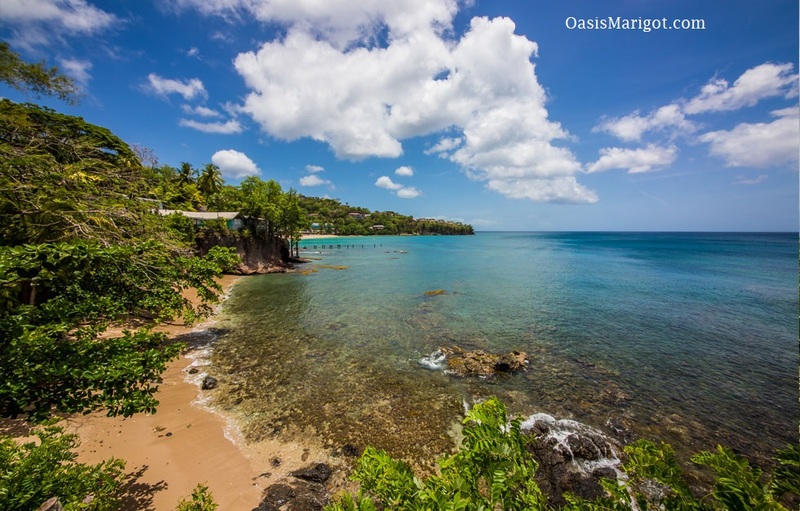 With its dramatic and romantic beauty (and proximity to the Sandals Regency Hotel) it’s a favorite site for wedding parties looking for an unbeatable beach atmosphere. 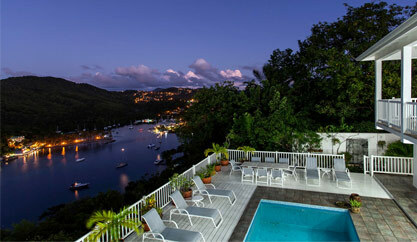 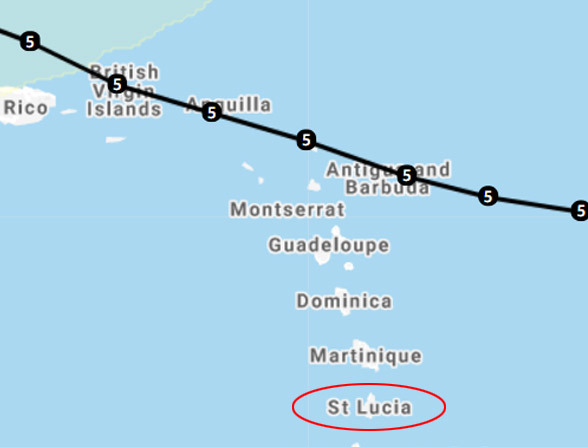 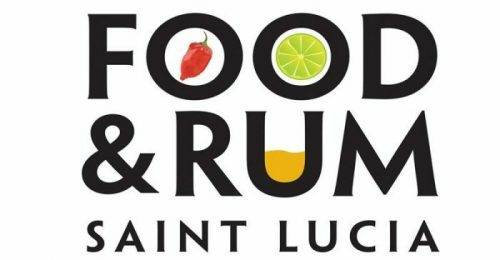 St. Lucia’s capital city, Castries, is not far away, and offers everything you need when it’s time to go shopping. 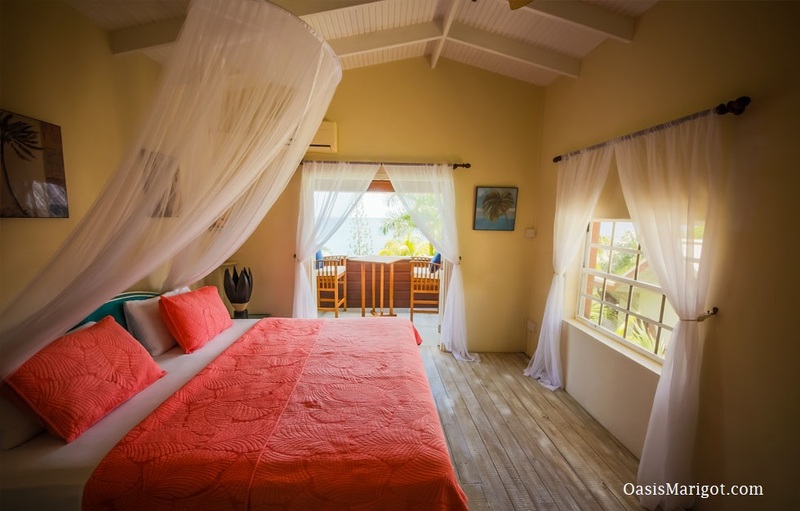 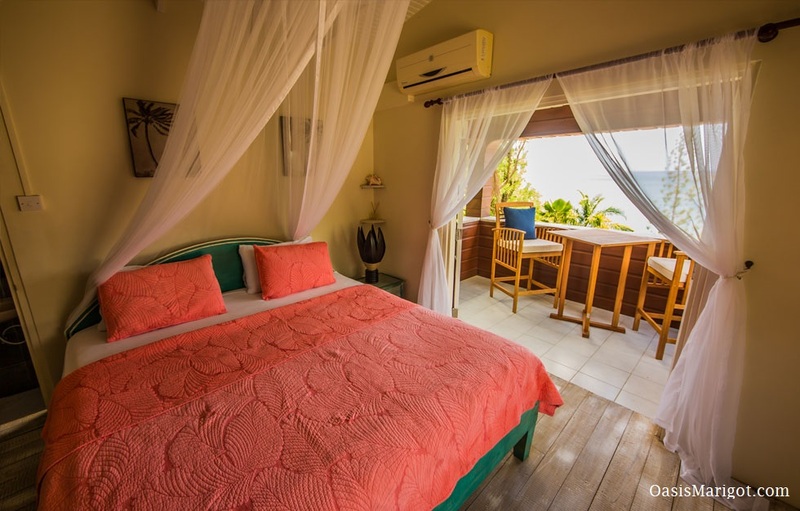 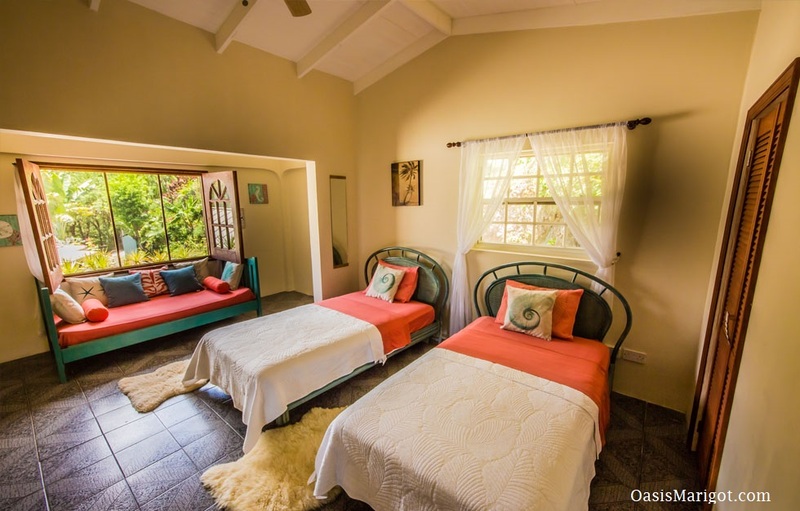 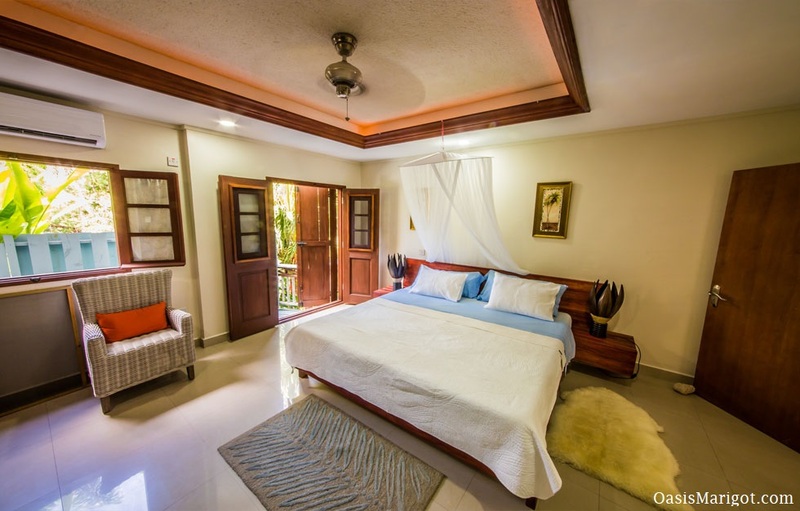 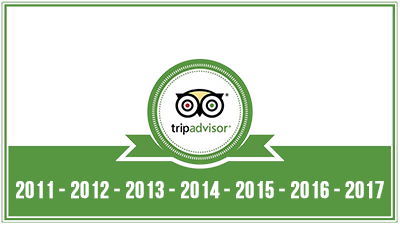 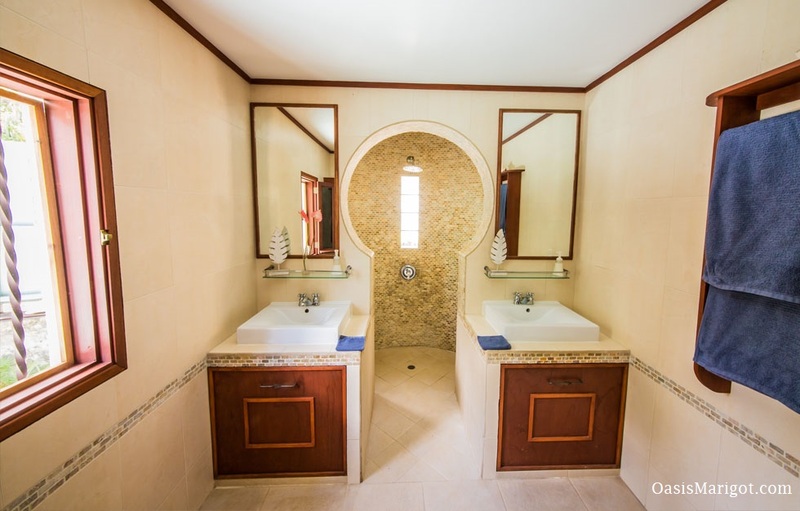 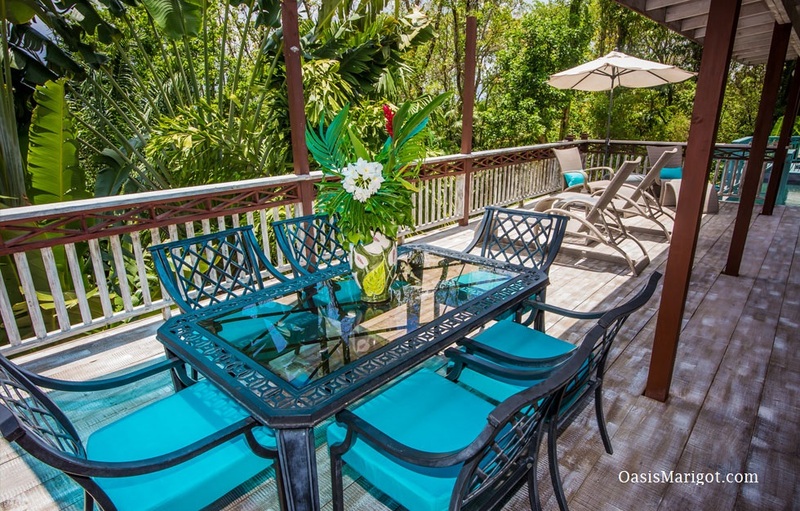 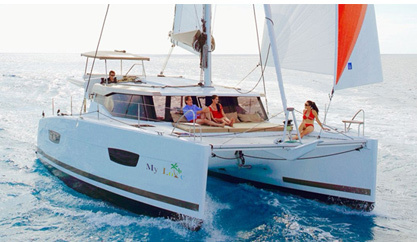 10-15 Min Walk / 5 Min drive to the Beautiful La Toc Beach, Sandals La Toc, Water Sports, etc.